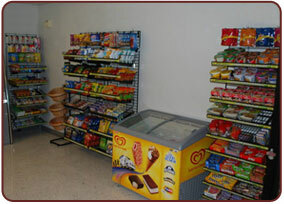 We'll Put a Convenience Store In YOUR Office! Think about it. What could be more inviting to employees than a mini convenience store right there in the workplace? 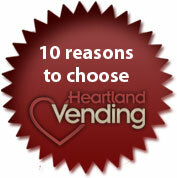 Now employees, management, customers, and guests can "help themselves" to the snack, food item, or beverage of their choice in your Un-manned Market from Heartland Vending. This helps YOU by reducing time lost to trips out for lunch, coffee breaks, and mid-afternoon snacks. Perfect for late night or swing shifts. 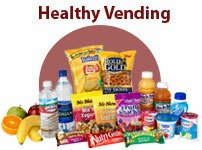 Choose from hundreds of product options including healthier, nutritious choices. Each market we set up is designed specifically for your workplace. Our customers find the Un-manned Market perfect for trouble free operation. 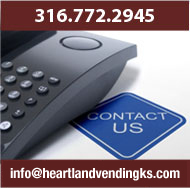 Heartland Vending provides your location with modern efficient coolers, attractive fixtures, kiosk, and a full security system. Each market has its own web-based inventory management system that makes adding products and evaluating inventory quick and easy.